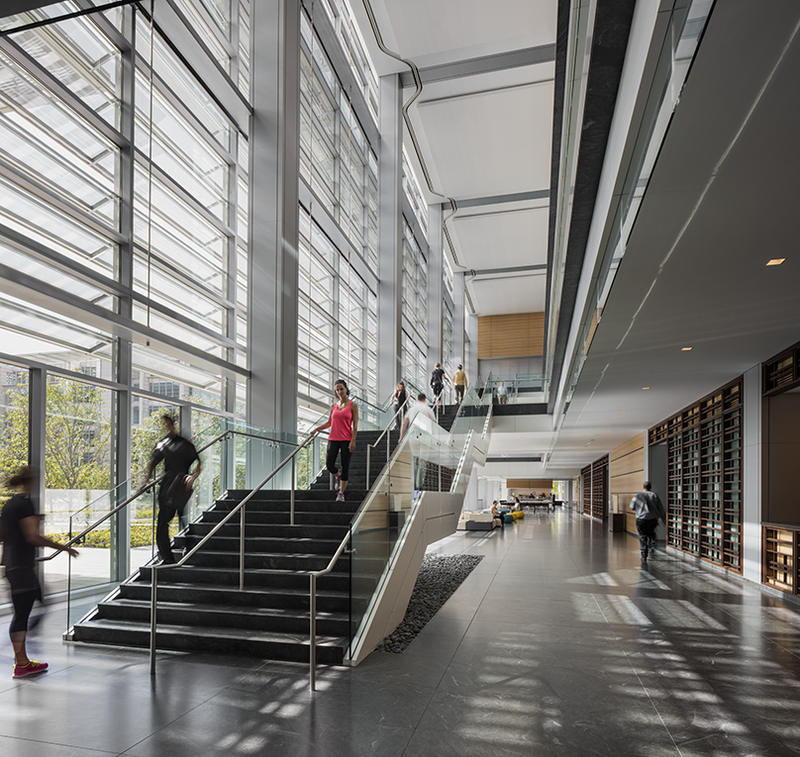 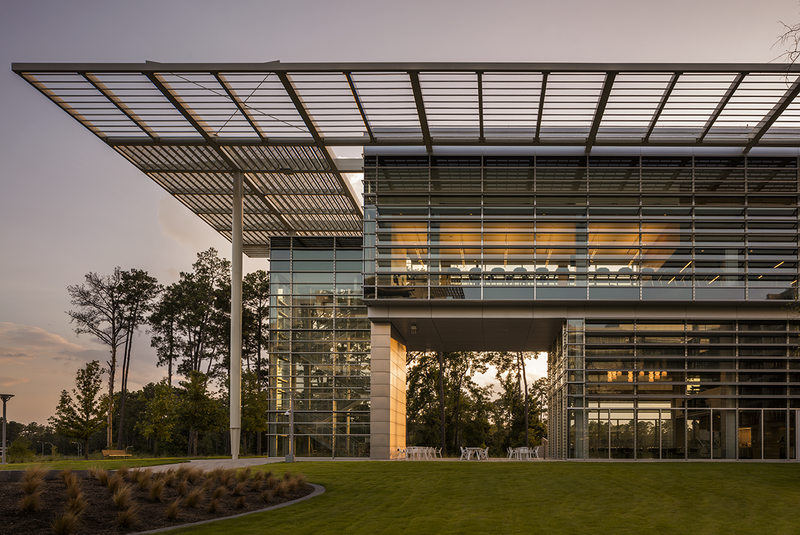 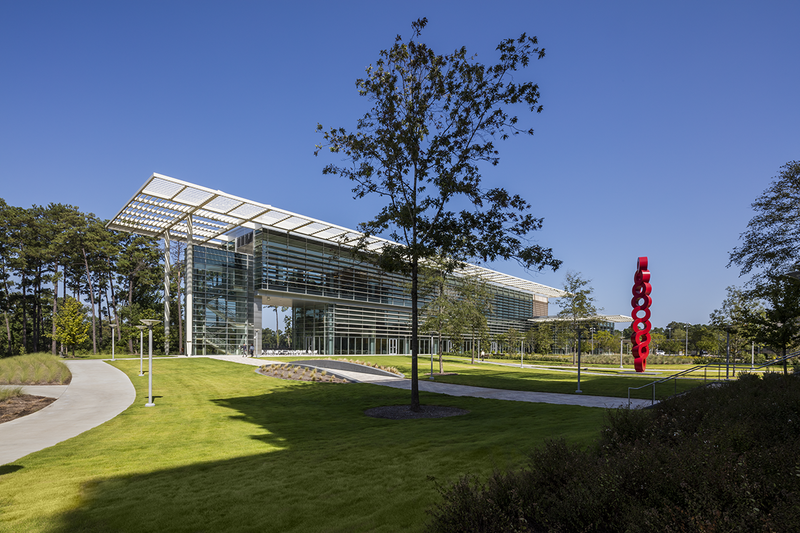 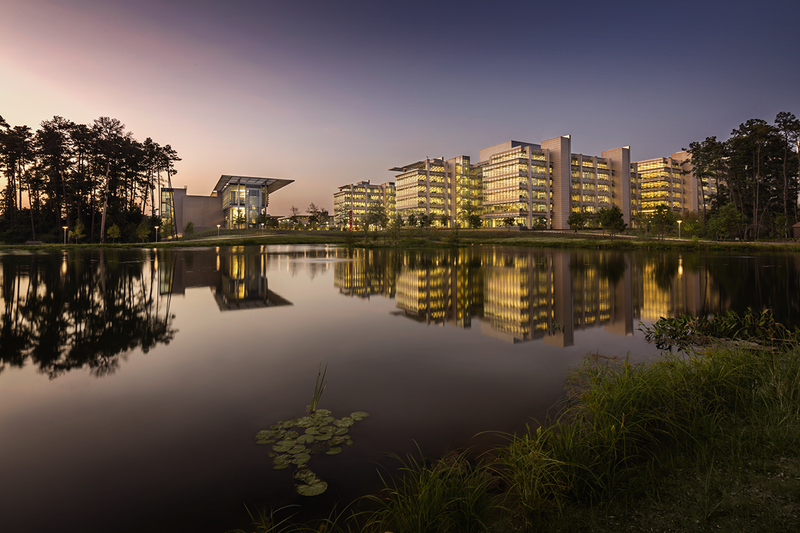 A 130,000-square-foot Wellness Center features a three-story glass atrium allowing for views of the campus and the nearby lake. 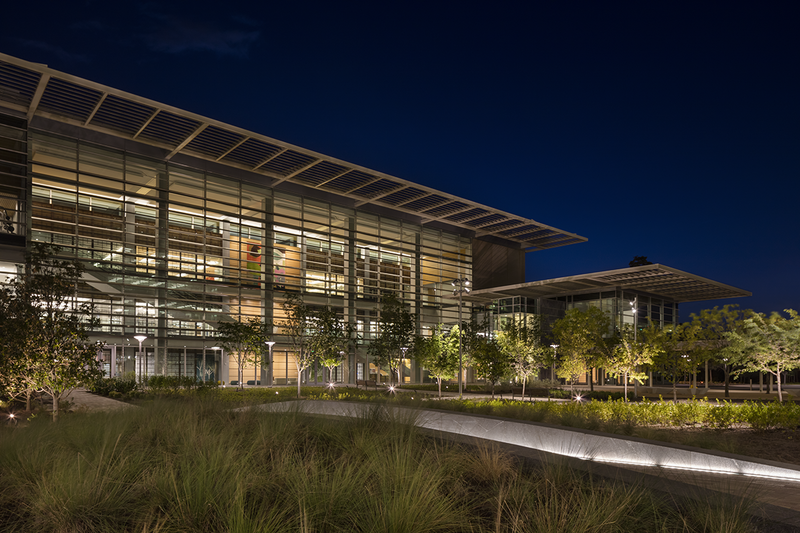 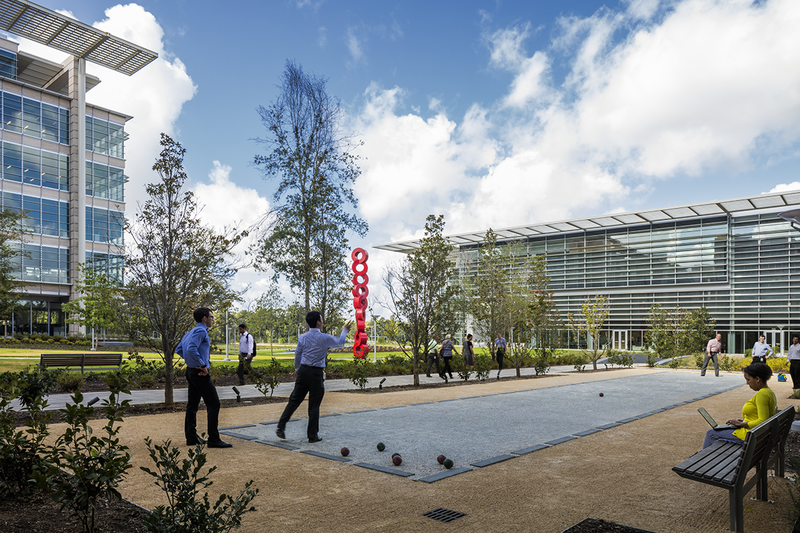 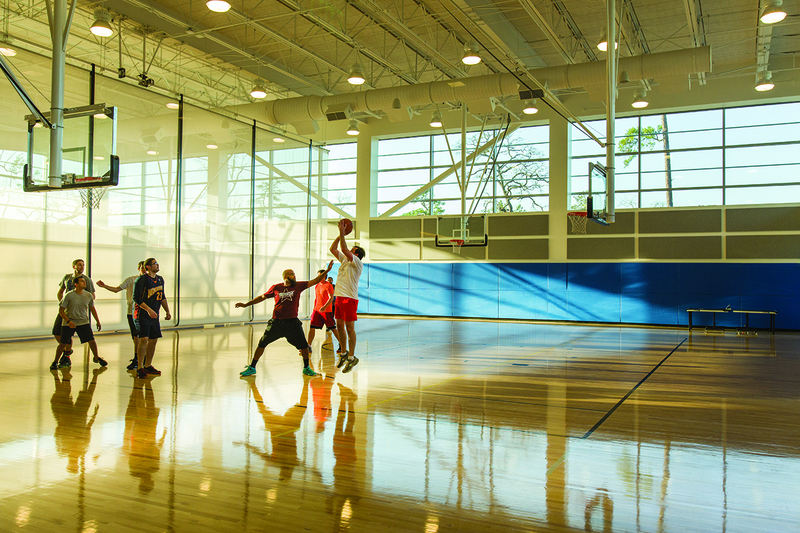 Employees have access to the latest fitness offerings, including cardio, yoga, spinning, pilates and strength training facilities, a basketball court, personal training services and healthy dining venues are also available. 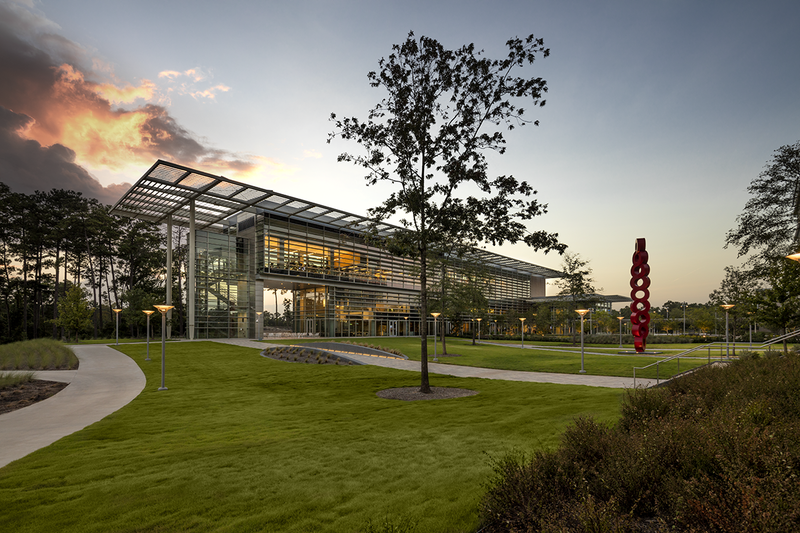 The Wellness Center is also home to the Medical and Occupational Health Clinic, where employees have access to travel health services and work-related injury and illness management. 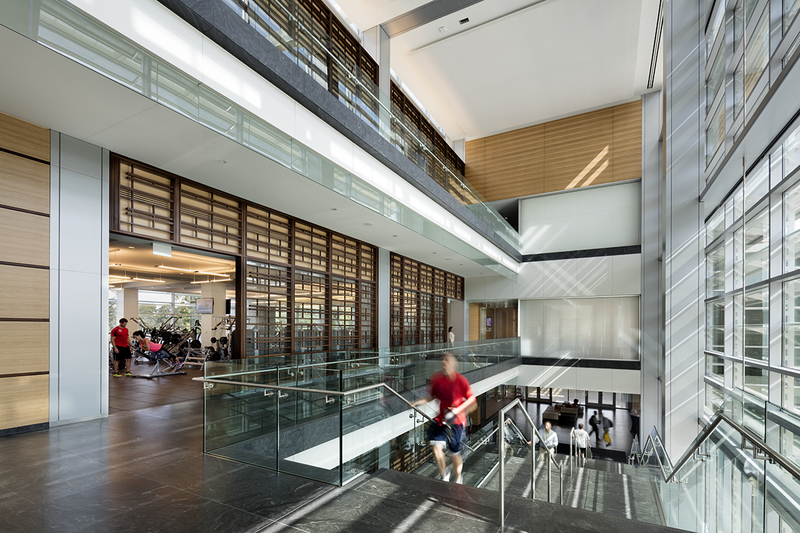 Employees are able to visit the Wellness Center any time during the workday, an effort designed to improve health and wellness.